Now I can’t argue with the sentiment of the meme. It was implying that Jesus loved, where some people hate. No, what I took exception to was the word ANTI. If, as I believe, Jesus was a man of peace and love, then he wouldn’t be anti anything. That’s not to say that he didn’t want to right wrongs or hold people accountable. But the word anti implies combat. You can’t have combat and win peace. Well my friend and I had a lively few exchanges about that in which I related something I learned in a teacher training that expressed my take on the uselessness of combat. The workshop was on classroom management. That means how we teachers keep our students working and not goofing off. This particular workshop suited my style perfectly. It was on the Fred Jones method, in which the teacher never nags students to do their work. Instead he or she walks around the room while the students are working saying nothing. If a student isn’t doing their work, the teacher simply walks up to them with a neutral face, remains silent, staying until the student gets busy. I loved it and used it in my classroom of high school students to great effect. I rarely got into arguments with my students, because when you argue no one wins. I decided to end the conversation with my friend when I realized I was not going to change her mind, nor she mine. But the conversation stayed with me. It’s one of lots of little interactions I’ve had lately that have a kind of theme. We get a notion into our heads. If it suits us, whether it’s right or wrong, we cling to it, never question it, and defend it sometimes at a high cost. I know I’m no different from anyone else. I have things I believe and when my beliefs are challenged, I don’t like it. I feel threatened, and uncomfortable. But, I’m different than other people too, because my father taught me to question everything. Doing that can be very uncomfortable. It feels like my inner anchors are being pulled up and I’m adrift at sea with no land in sight. But, though I’d like to stay comfortably holding my old beliefs, something bigger is tugging at my consciousness telling me to take a closer look at all the things I thought I knew. And at this turbulent time, I feel like I need to be looking for ways to contribute to peace and love rather than hate and fear. Which means I’ve got to do lots of examination of my belief system. After my online conversation, I remembered a story Wayne Dyer told about Mother Teresa. She was once invited to speak at an anti-war rally. But she responded by saying something like, “I will not attend anything that has anti as it’s intent. If, however, you choose to have a rally for peace, I will be happy to attend.” That story has stayed with me ever since I heard it. I want to always be FOR good causes, not against situations I don’t like. I don’t want to condemn anyone, because as my father also taught me, people who do terrible things are fearful and wounded. I don’t believe we can help them heal by condemning, or shaming them. But we can use a version of the Fred Jones method of discipline. We can stand in front of them in silence. Another meme I saw this week showed a practical way we can do this. It was about a group of protesters in Turkey, who just stood in complete silence, creating, as the meme states, “a calm curiosity, instead of tension and aggression.” Deep down most of us know the difference between what’s the right thing to do, and what’s wrong. Sometimes we just need someone to remind us. Another interesting, seemingly unrelated thing happened to me as a result of my contemplations about words and their meanings. On Halloween morning as I was meditating, I had a huge aha moment. I’ve been struggling writing my second novel. For quite some time I’ve made little progress. I blamed it on working on my friend’s, and my audiobooks, on doing the No Pants Project homework, on teaching my class. But the real reason I was stalled was because my emotions about being a woman, and having to navigate through a world dominated by men are so tangled, that I don’t have the words to express my frustrations, and sometimes even rage over them. The two main characters in my book are part of their respective women’s movements. I’m trying to show how they are affected by their efforts against misogyny. But I’ve had trouble finding the words to express what I want to say. I’m not even sure I know what I want to say. I do know this, I can’t find the words if I don’t sit down everyday and dig deep into my own emotions on the subject. Sometimes I want everything to just be sunshine and light, but a woman I follow on YouTube, Jenny Burack, said recently, “The dark always serves the light.” We can’t find joy if we don’t struggle with all the negative emotions that we try so hard to suppress. The stories I enjoy the most are ones where the characters face their demons and come out into the light at the end. I have to do that now as I work on this book full of complicated situations and emotions. Words, words, words. They are such an imperfect way to express concepts and emotions, but they’re almost all we’ve got to communicate with. As a writer, I’ll keep examining their deeper meanings. Thanks for reading, liking and commenting. I appreciate it. I hope you enjoy your weekend. I did it! I finished the rough draft of my novel. It’s been a long two years, mostly because I didn’t do a plot outline. I just picked up a novel I’d started about fourteen years ago and I started writing. Oh, I had a basic idea of where the story was going, but I trusted the writing gods to lead me. This is what I discovered: The more I wrote, the more I wanted to write. Ideas come in my dreams, meditations, while I’m driving, cooking and in the shower. Every morning I wake up and feel that tug at my heart to get my fingers on the computer keys. Finishing the rough draft doesn’t mean my work is finished. Oh, no. Now comes the fun part, revising. I get to make what I’ve written better. Then, I’ll send it out and get other people’s perspective and then I’ll revise again. Writing is like life; we’re always revising, always improving, always discovering ourselves. When we’ve finished improving one aspect of our lives, we start on another. I love that. I love that I’m never going to be finished, with writing, or with expanding my life. Watch out. I could live forever. I’m having too much fun to give it up now. The other day my husband and I were at a gallery opening where he has artwork. One of my former drama students was there with her husband and new baby. She and I have kept in contact over the years and she said something that made me take pause. “I admire the way you’re following your dreams.” That kind of threw me for a loop. I followed my dreams because I couldn’t do otherwise. My soul called and I had to answer. Some people don’t get that. I was humbled that she did. She’s a theatre artist, though, so maybe that’s why. Artist follow their hearts, take chances and sometimes the world doesn’t understand them. I guess we all have trouble understanding each other. Great art brings us closer together. I’m not saying my novel is high art, nevertheless, it has changed my life and I’m grateful for that. Oh, and this holiday season, support local and independent artists, designers and crafters. They have bills to pay too. And you’ll be giving a unique and beautiful piece of art into which someone put their soul. – Buddha, was the central figure of Buddhism. Words have been on my mind a great deal since I began writing my novel and this blog. That’s not true, I’ve always been fascinated with words. I’m told I spoke clearly before I could walk. None of that baby talk for me. When I was in grade school, my teacher praised me to the class for saying the word “multiplication” clearly, enunciating all the parts of the word. The other kids looked at me with perplexed expressions on their faces as if to say, “What difference does it make”? 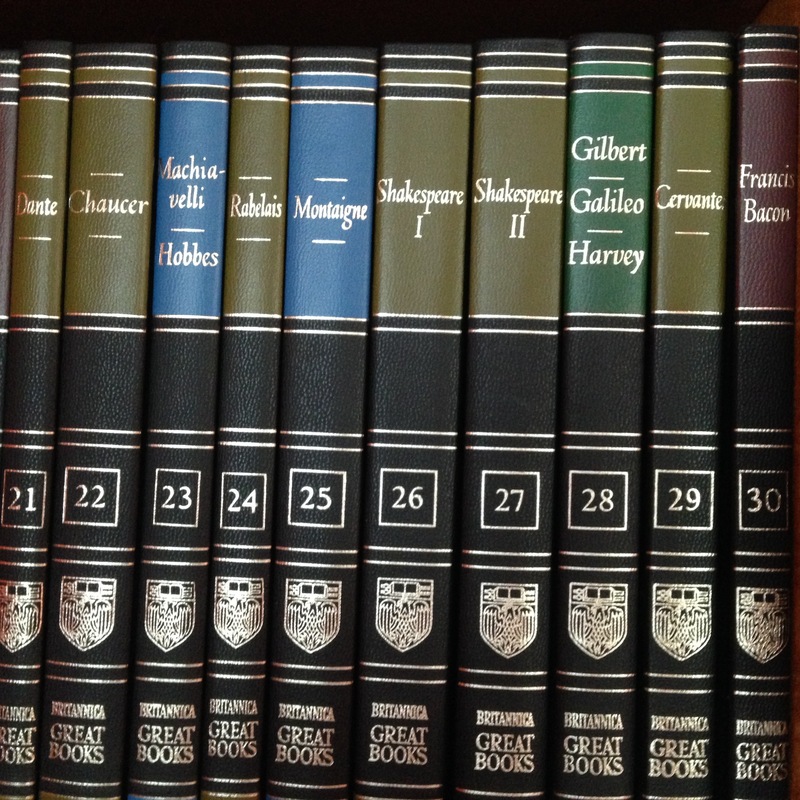 My favorite subject in school was English where I learned to love great literature. In college my majors were Religious Studies and Theatre and Speech and my Masters degrees are in Theater Arts and Education. So, as you can see, words and the ideas behind them matter to me. That’s why I’m concerned. There seems to be a growing trend of speaking before thinking about the consequences of what we’re saying. Is it just me, or are we lashing out at one another more than we used to do? We’re making a habit of using personal invective against one another without realizing that words are made up of energy. When spoken they are sound vibrations that we’re sending out into the world. When read silently, they stir or damage our soul. Maybe you don’t know what I’m getting at. Okay, let me demonstrate. In the “Declaration of Independence” the line we revere the most is this: “We hold these truths to be self-evident, that all men are created equal, that they are endowed by their Creator with certain unalienable Rights, that among these are Life, Liberty and the pursuit of Happiness…” As Americans, aren’t we proud of that document? Would we be as proud if Thomas Jefferson hadn’t been such a good writer? What if it said: “This is what we believe to be the truth, that everyone’s created equal, with rights that can’t be denied. We state that some of those rights are Life, Liberty and the pursuit of Happiness.” It doesn’t have the same ring does it? Here’s another example of a document we hold dear, “The Gettysburg Address” by Abraham Lincoln. “Four score and seven years ago our fathers brought forth on this continent, a new nation, conceived in Liberty, and dedicated to the proposition that all men are created equal.” What if Lincoln had started his address with, “One hundred and seven years ago our nation was created.” See what I mean? My point is that words have power. We continue to study the works of Shakespeare because of the way he stated his ideas through characters in interesting, sometimes desperate situations. It’s the same with all great literature, but our popular entertainment, with a few exceptions, is made up primarily of reality shows where the “real” people are bickering, tearing each other down with their brutal honesty, or using profanity that has to be bleeped out. What kind of negative energy are we saturating the air waves with and how does that affect us? I’m not saying that a good swear word should never be used. Sometimes that’s the best way to express our feelings. What I object to is yelling them in someone else’s face. In a fantastic book I read last year, Every Word Has Power, Yvonne Oswald writes about the power the words we think and speak have on our lives. If we’ve got the habit of denigrating ourselves, it’s nearly impossible to be successful out in the world. For that reason she helps the reader notice their self-talk. Beginning to change ourselves is the way to change our outer world. For that reason, I don’t watch all those negative reality shows, or the news. However, because I’m sensitive, I feel overwhelmed by the negativity of our dialogue with each other. I can feel it in the ethers and I feel sad that we’ve lost much of our civility. Now that I’ve written about the negative aspects of our media, I do want to point out that I see glimmers of hope. I think the big wigs at the networks underestimate those of us who are viewers. The popularity of Downton Abbey, on PBS no less, took everybody by surprise. It’s a literate television show. Oh, there are characters who can deliver a cutting remark with flair. But, we get to see them suffer the consequences of their actions. They don’t get away with being nasty for long. Another glimmer of hope is the fact that OWN is doing better than ever, and while I don’t watch all the shows on that network, the programming is heavy on personal growth and healing. I could go on, but you get the idea. I know this one blog post, which will reach maybe 50 people, isn’t going to change the way we think about each other, or talk to each other over night. My goal is to be one voice added to many others, saying, we need to pay attention to how we treat ourselves and others. We need to think, and not just drift along. We need to wake up and be conscious of our actions. If we’re compassionate with ourselves, it’s easier to show compassion for others.